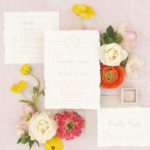 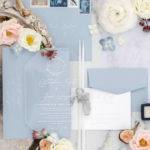 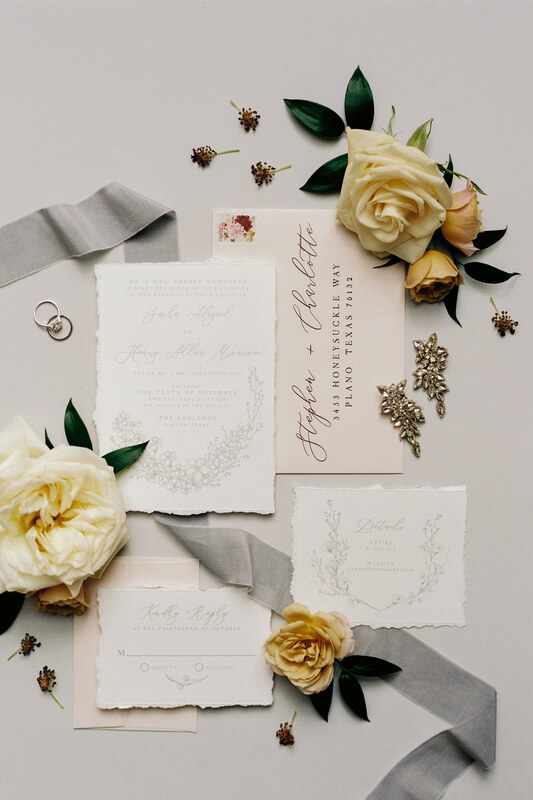 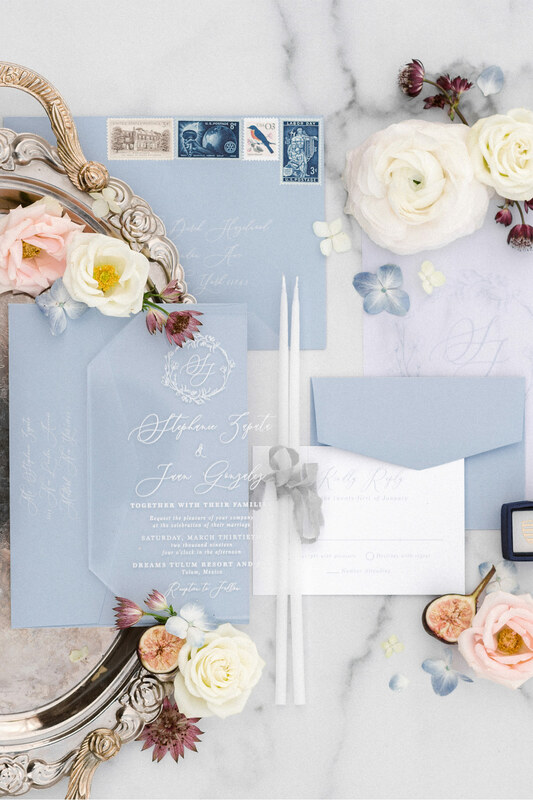 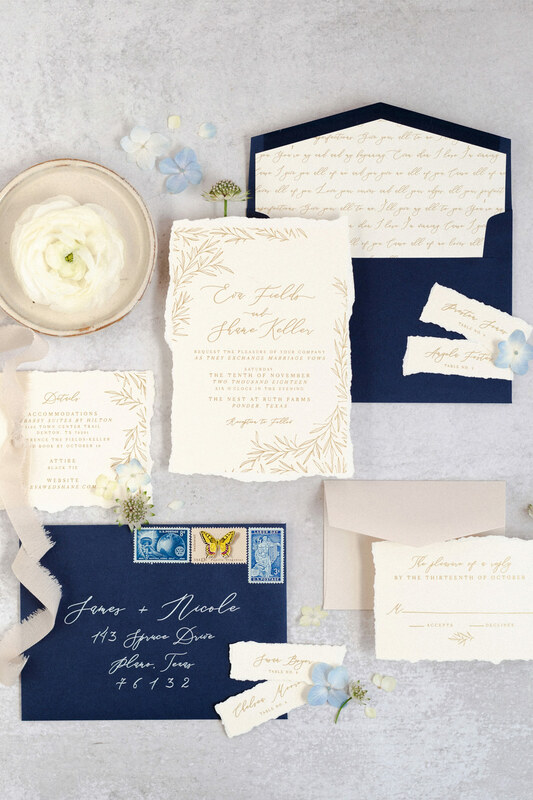 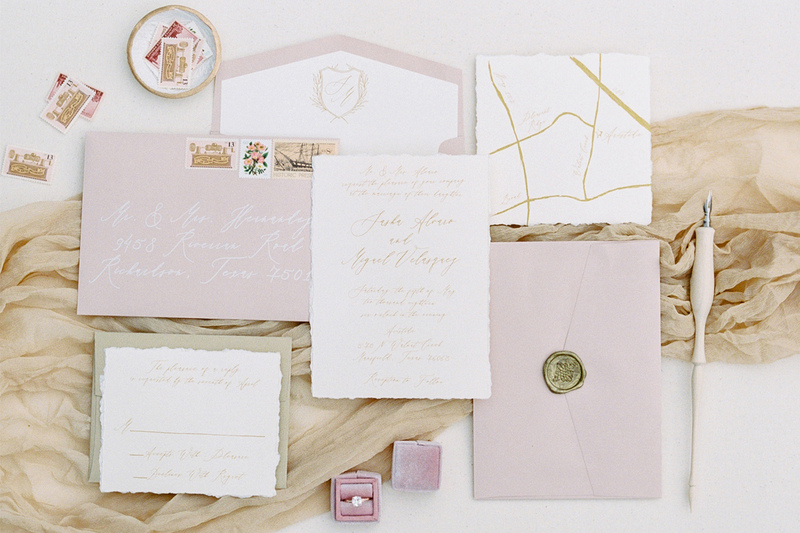 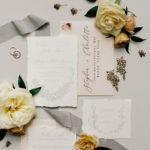 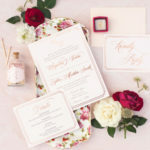 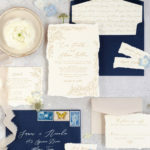 Brown Fox Creative creates bespoke wedding stationery with the modern bride and groom in mind. 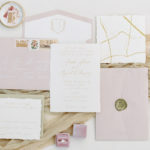 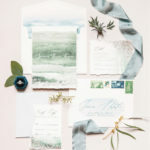 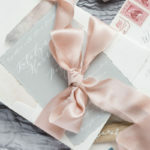 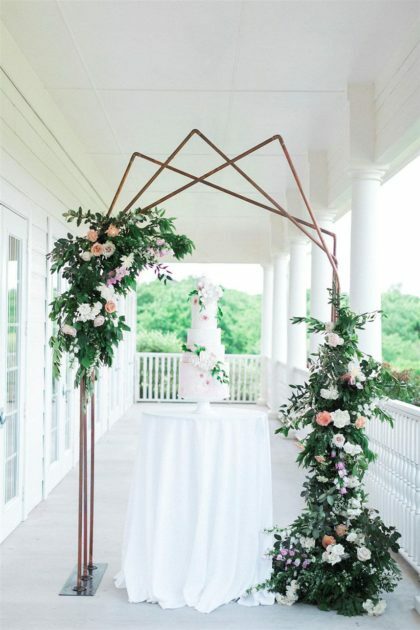 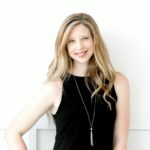 We want to get to know you and your vision for the big day and help you create something to cherish for years to come. 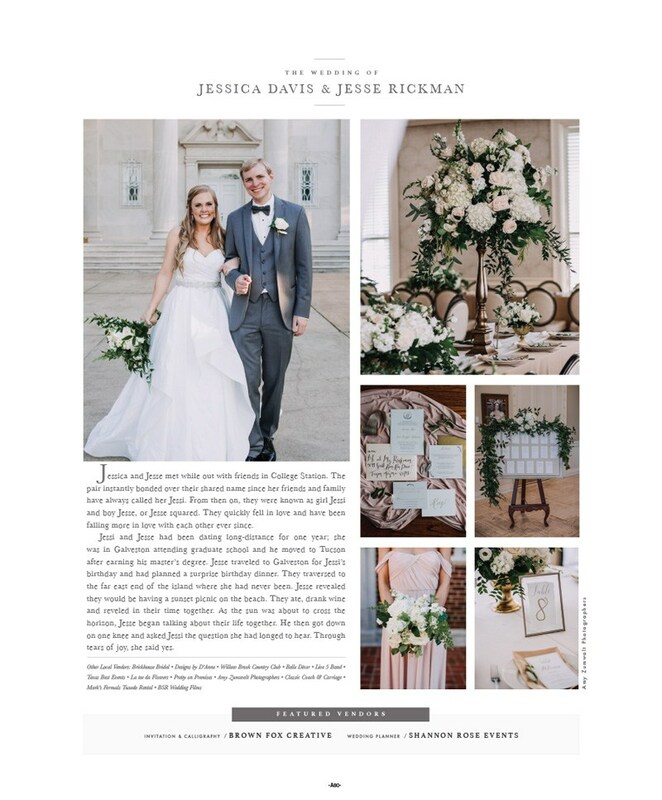 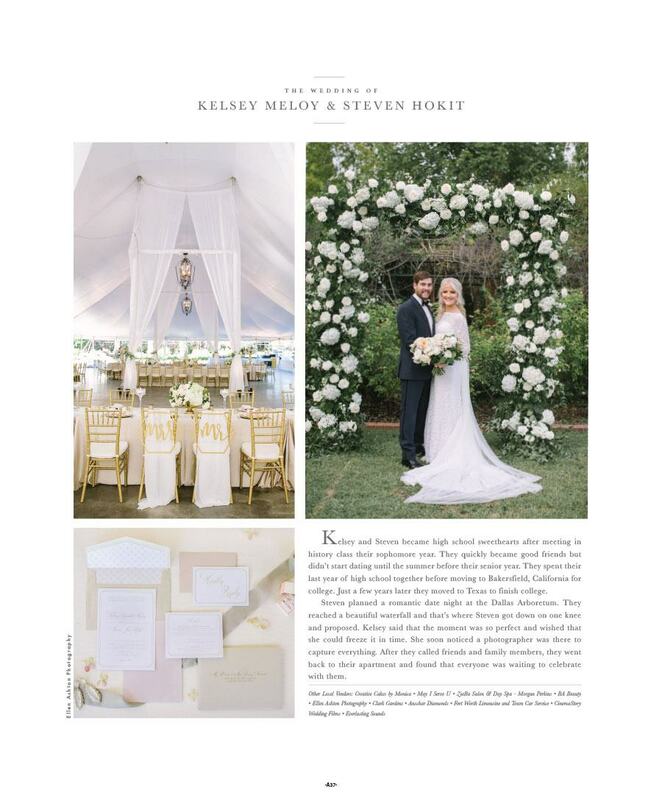 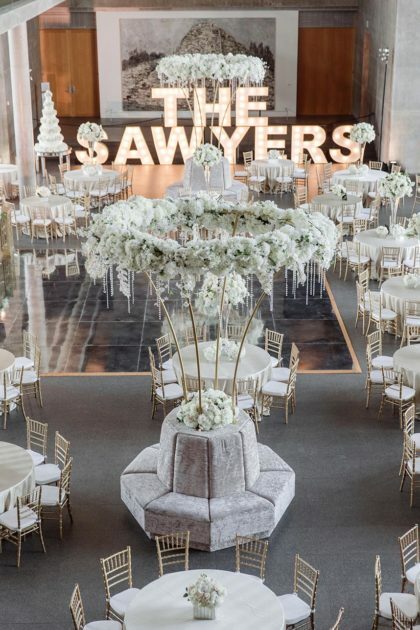 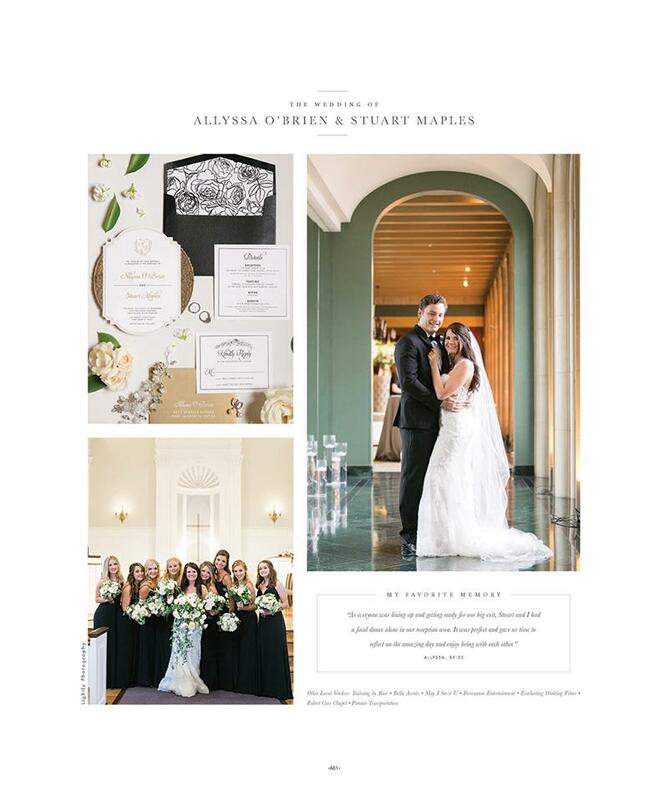 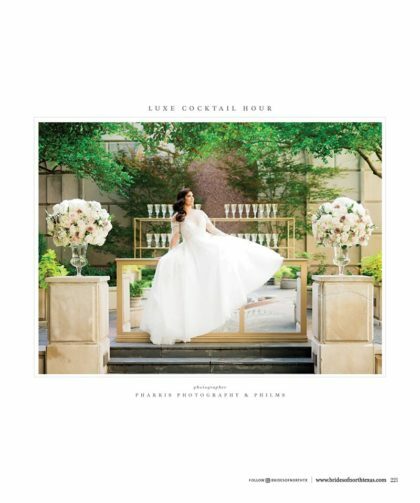 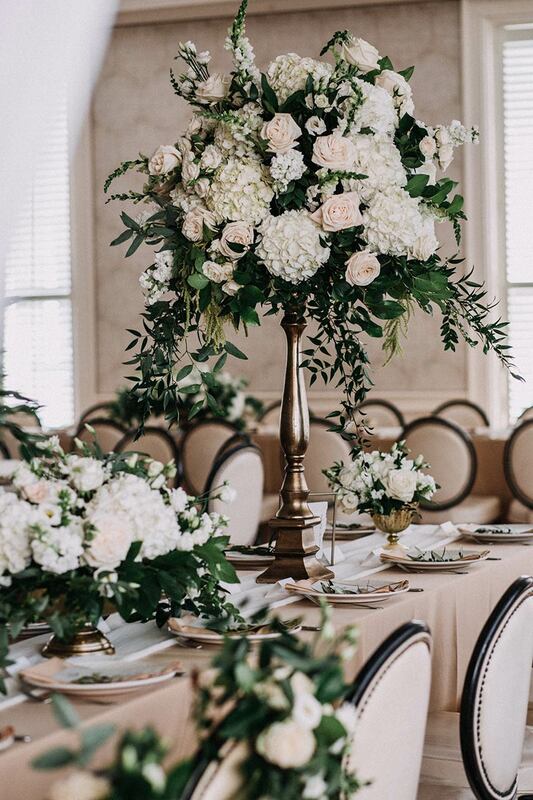 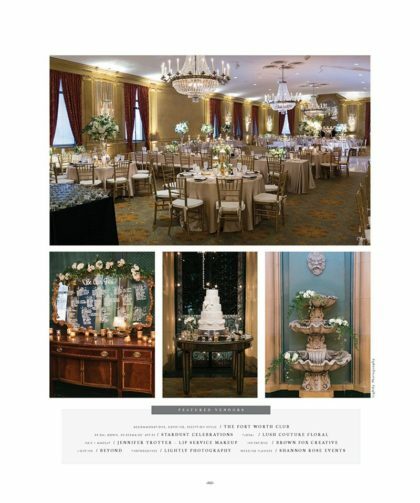 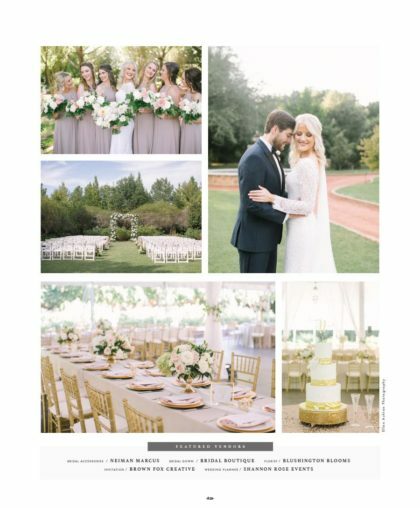 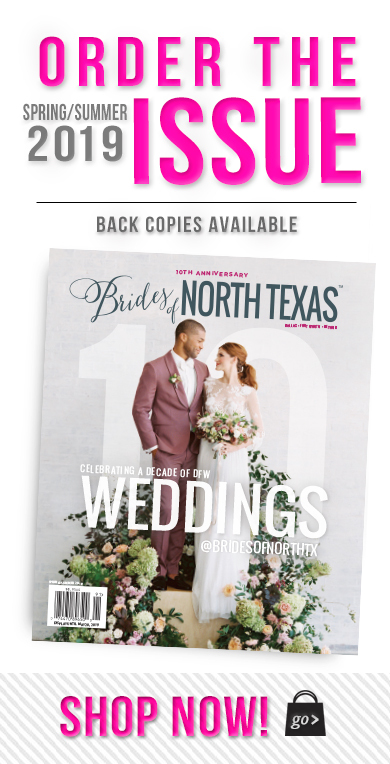 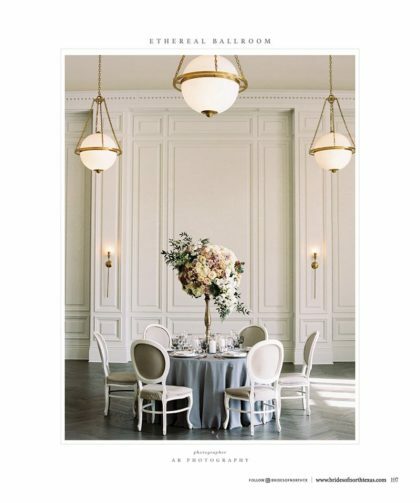 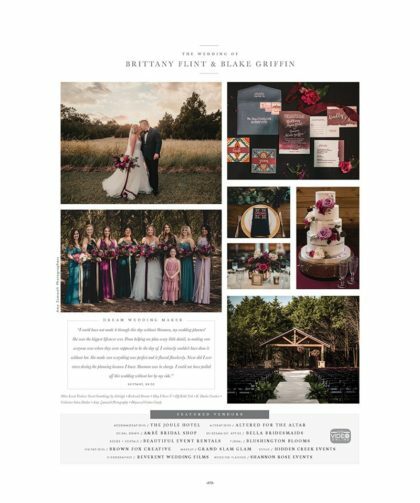 We're the winner of The Knot Best of Weddings 2015, 2016, 2017 & 2018, The Knot Hall of Fame and winner of Wedding Wire Couple's Choice Award 2014, 2015, 2016, 2017 & 2018. 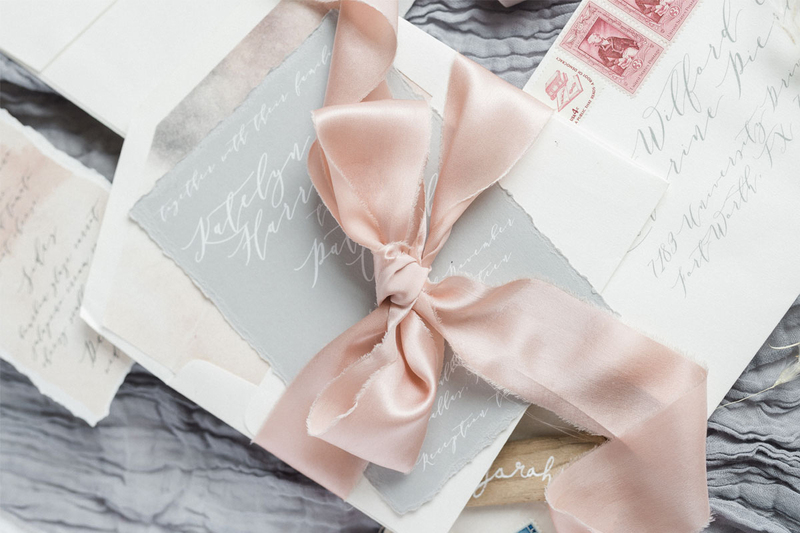 Your investment is determined by many factors — quantity, timing, paper choices, add-on's etc. 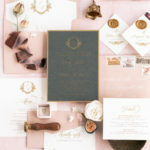 Each clients' needs are different, so please contact us with your specific details so we may better determine cost. 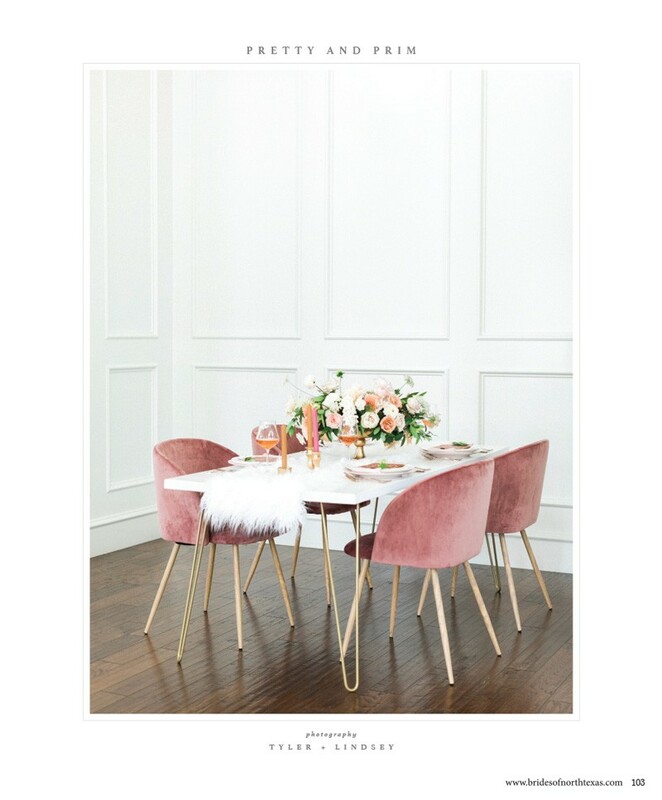 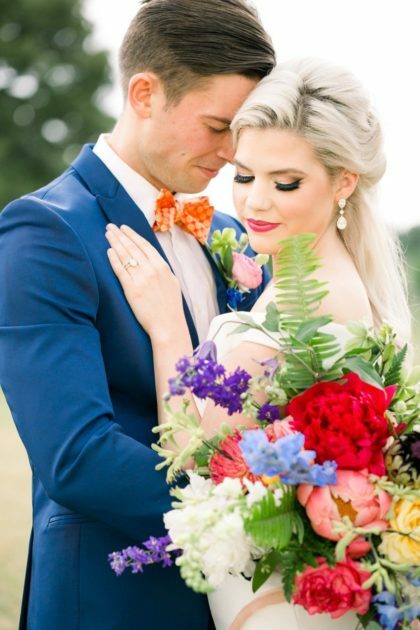 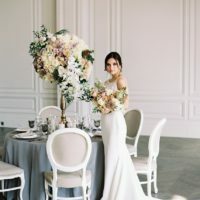 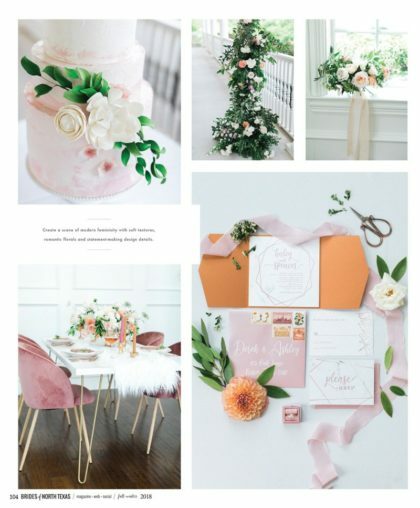 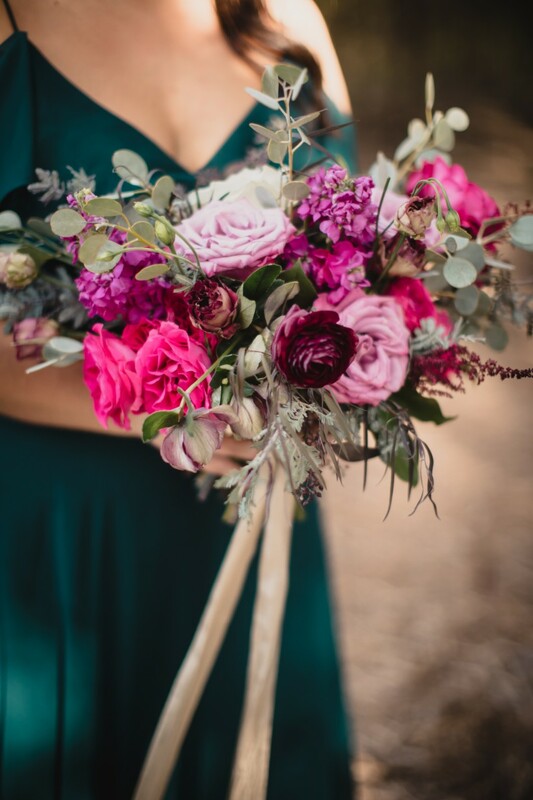 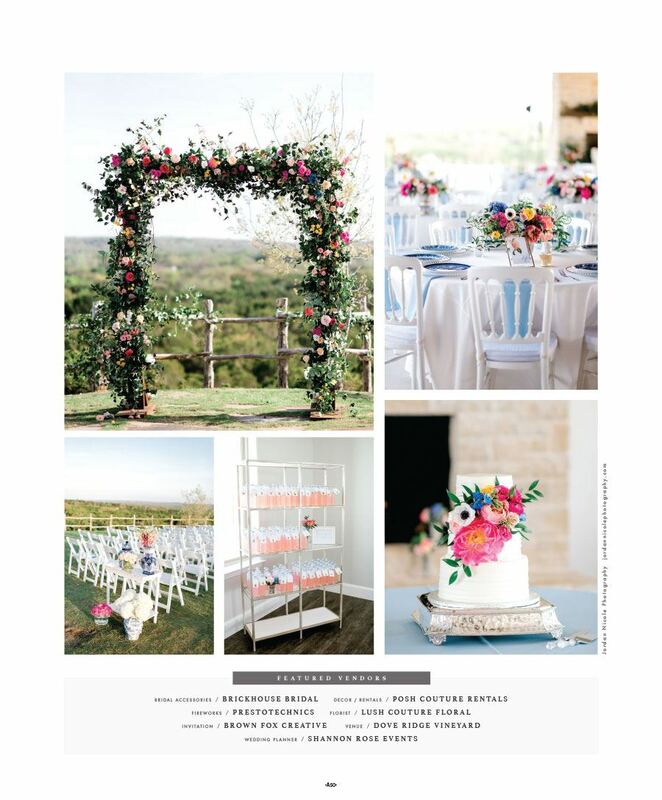 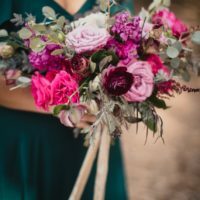 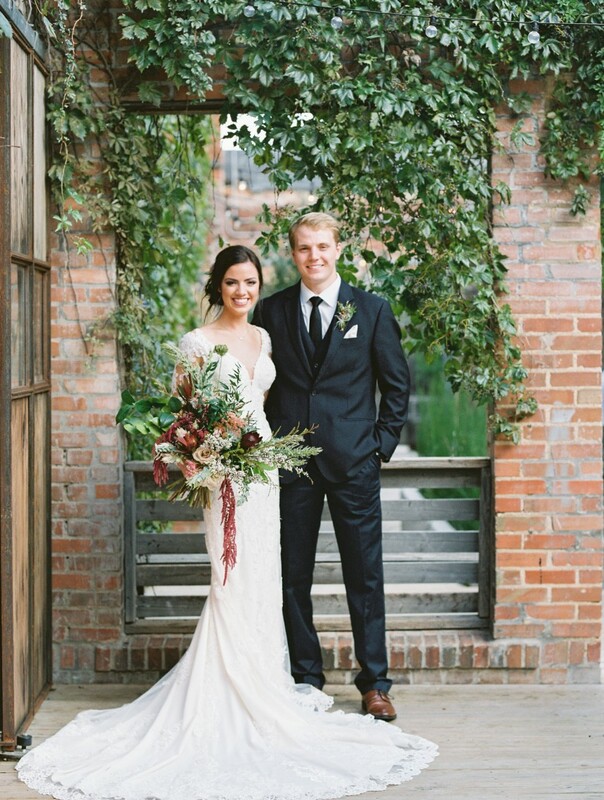 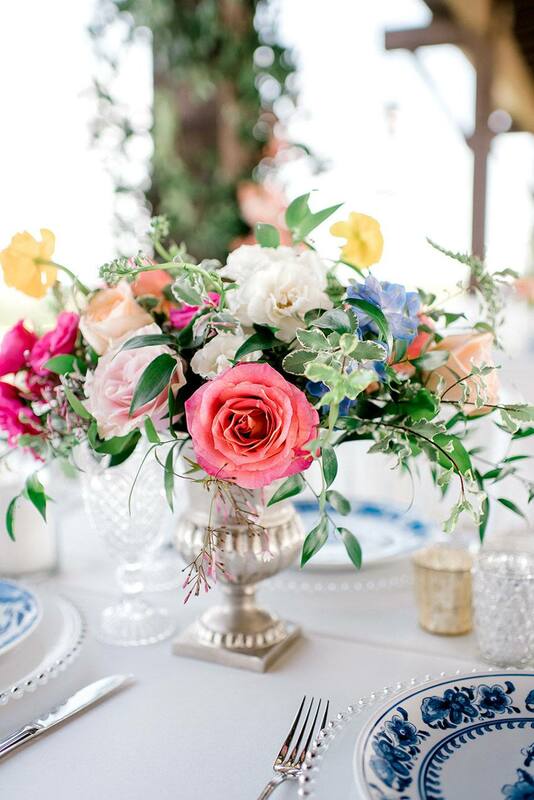 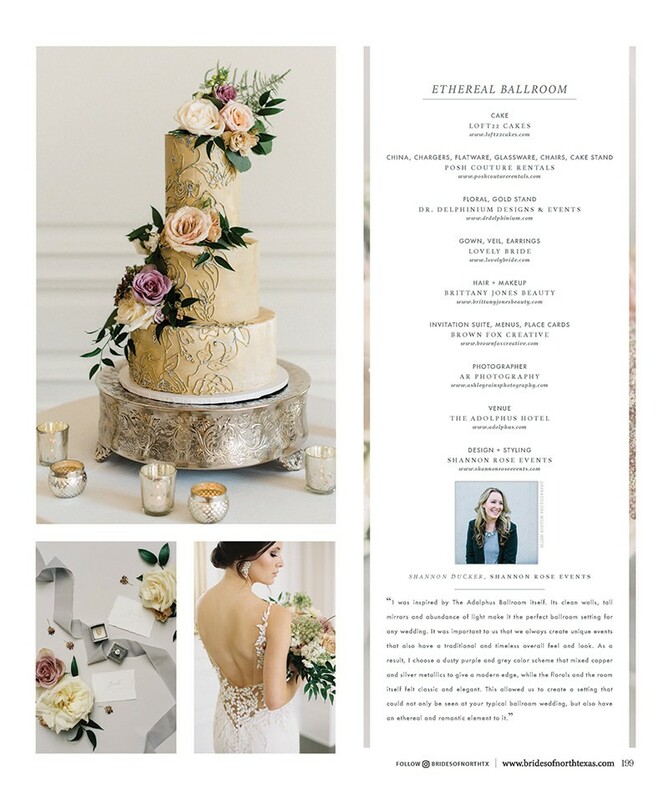 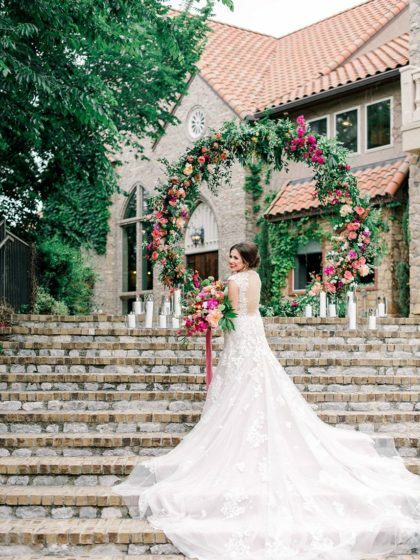 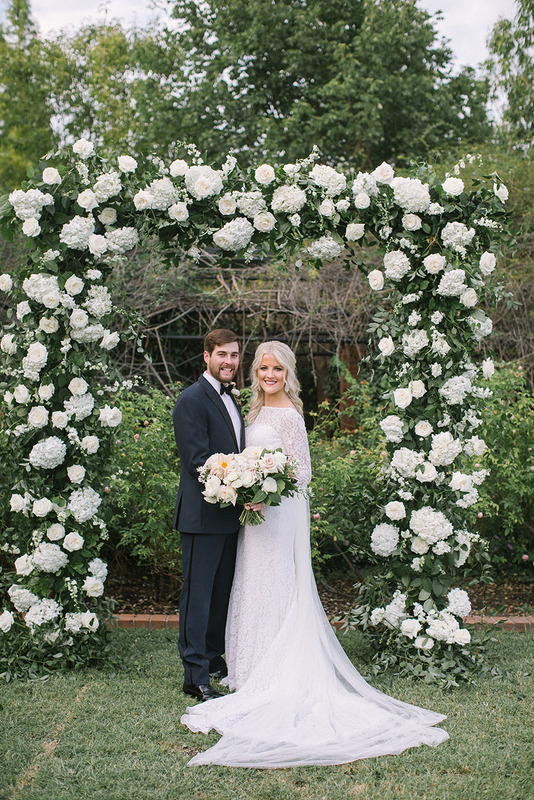 Blooming Colors Wedding Inspiration feat. 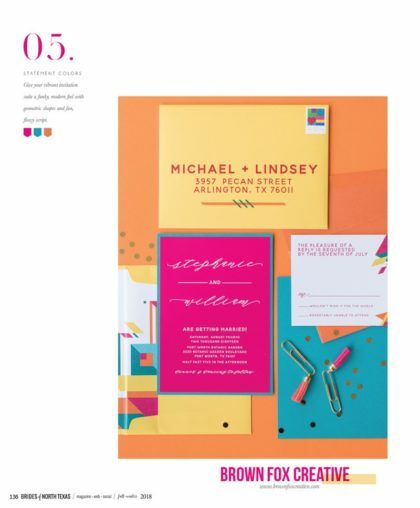 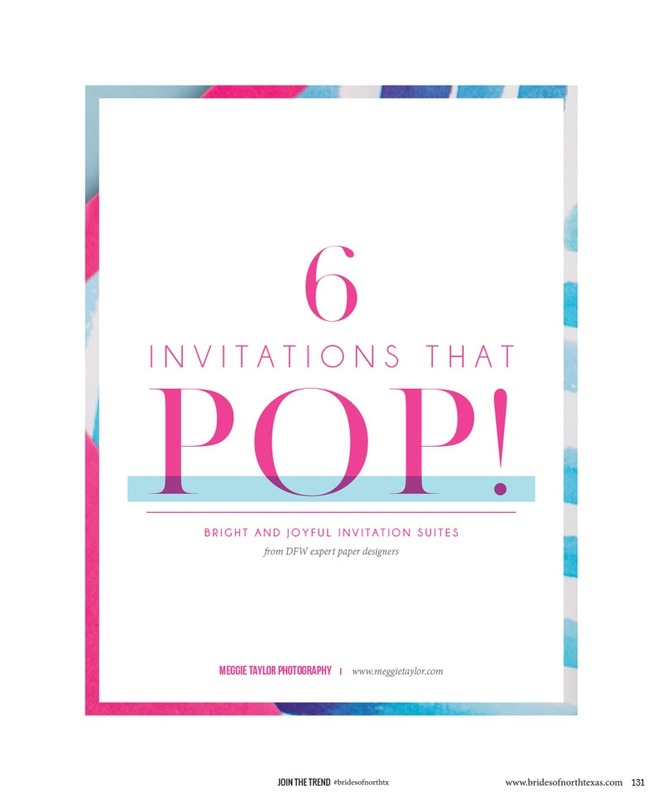 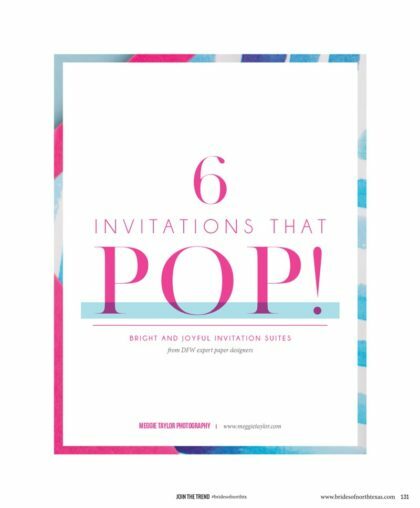 Billie Ball & Co.
Spanish Love Affair from Silver Lining Events + Co.
Fresh from the pages of our new Fall/Winter 2018 issue comes the ultimate in fun-filled and eye-catching paper suites in “Invitations that POP!” featuring bright and joyful invitation suites from DFW expert paper designers. 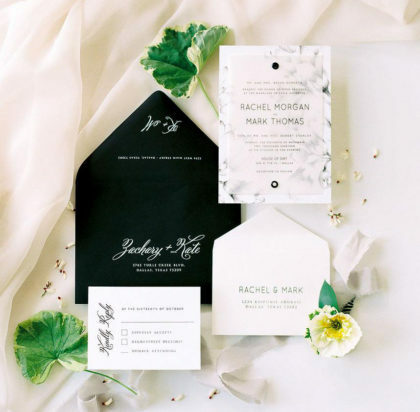 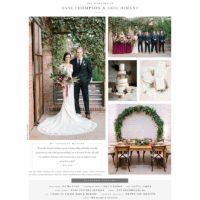 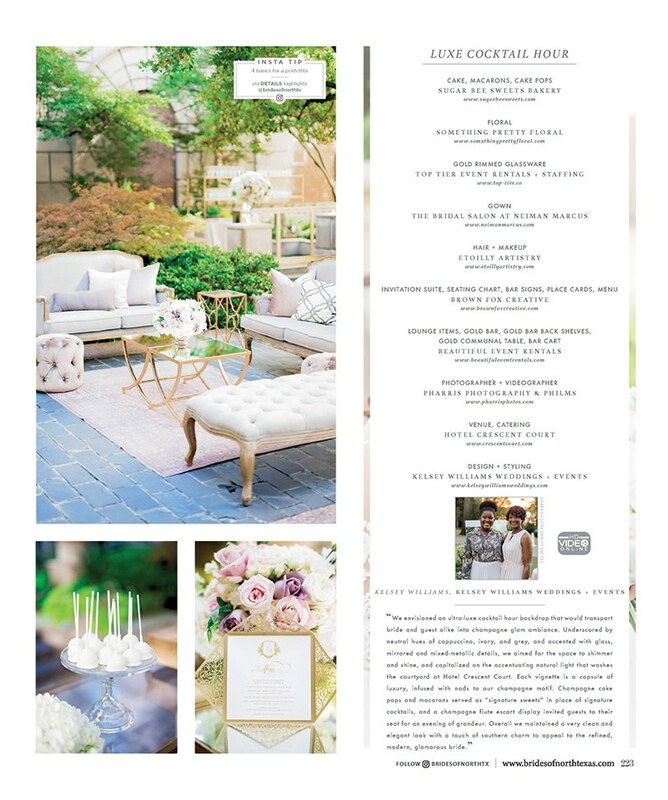 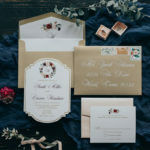 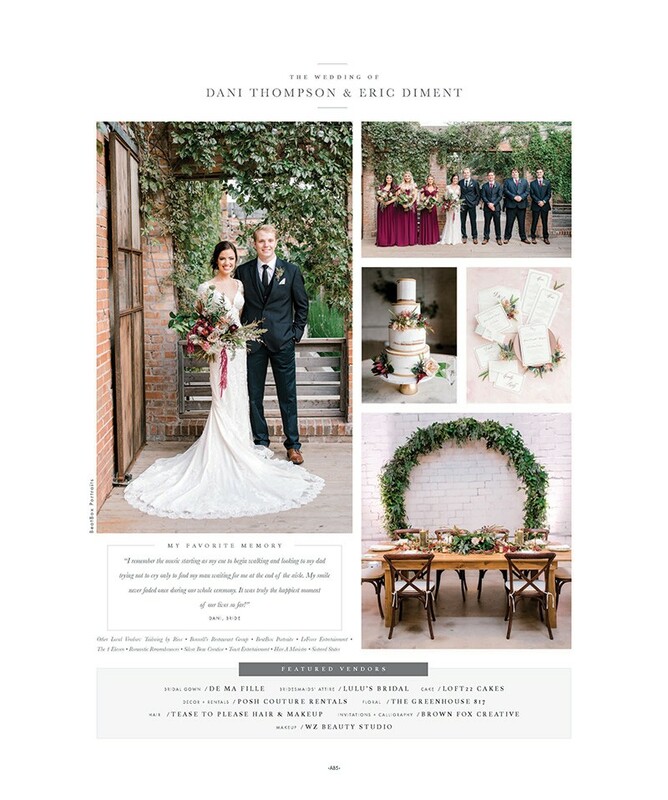 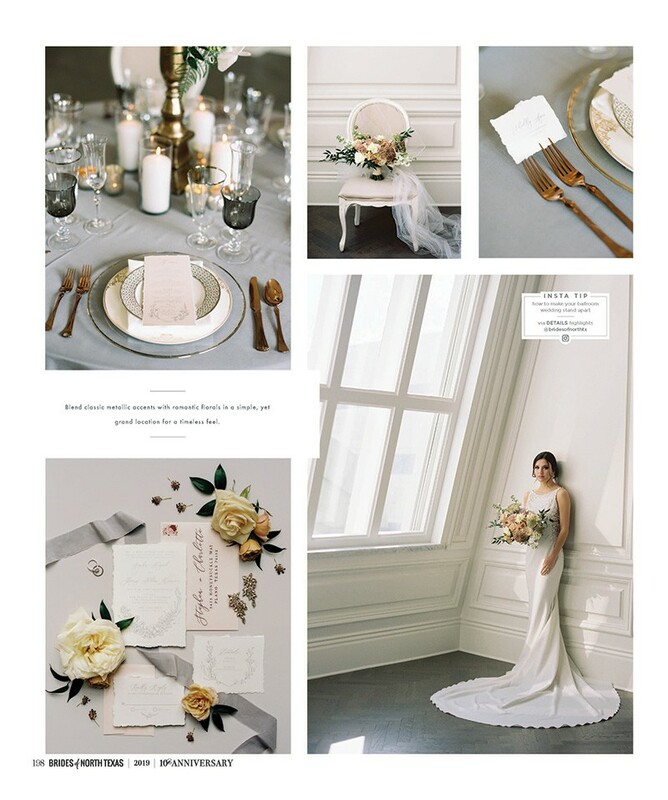 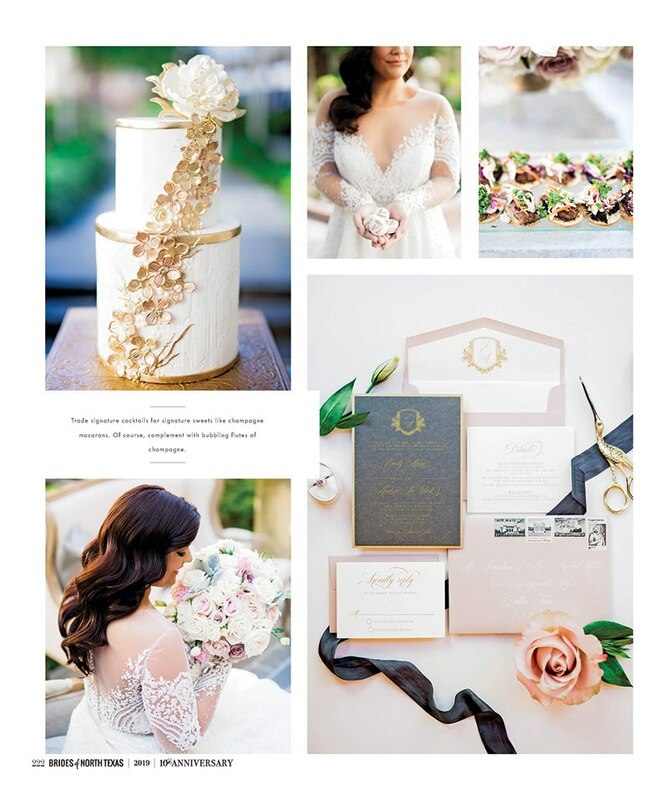 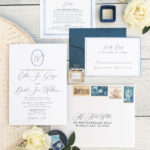 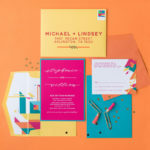 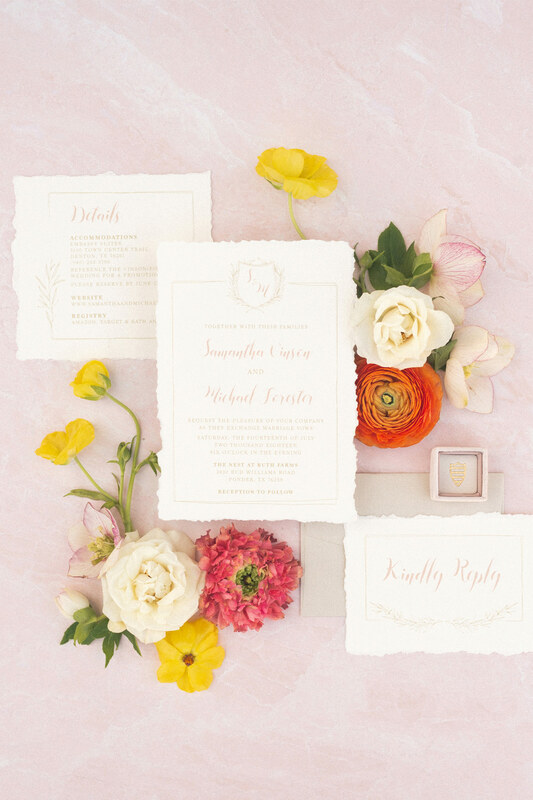 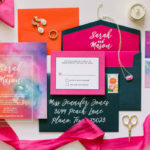 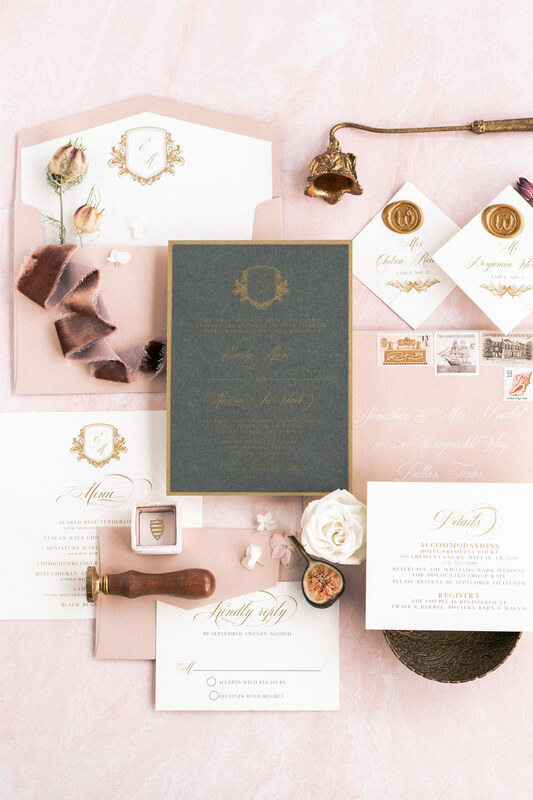 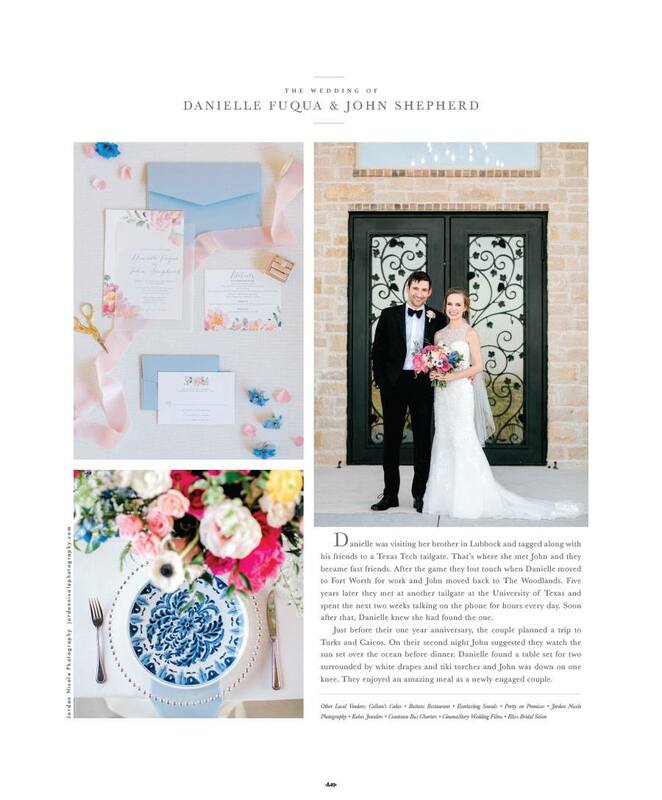 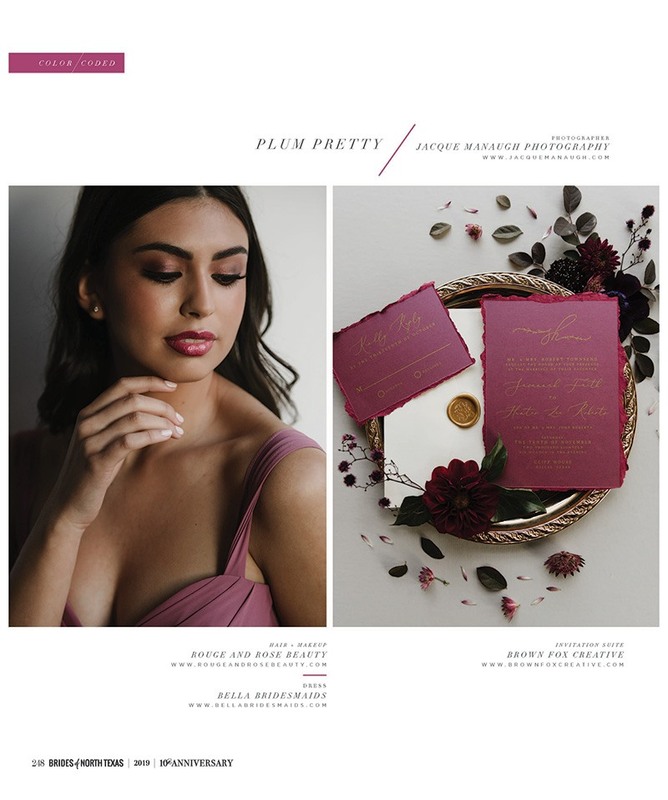 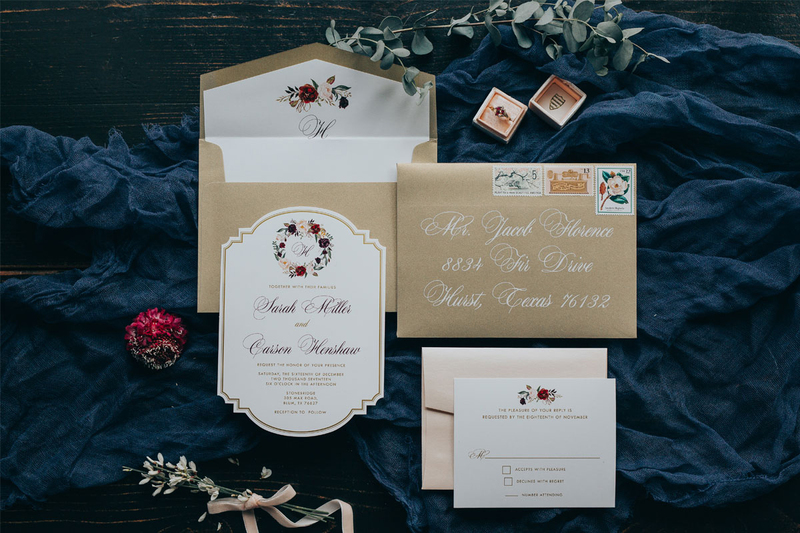 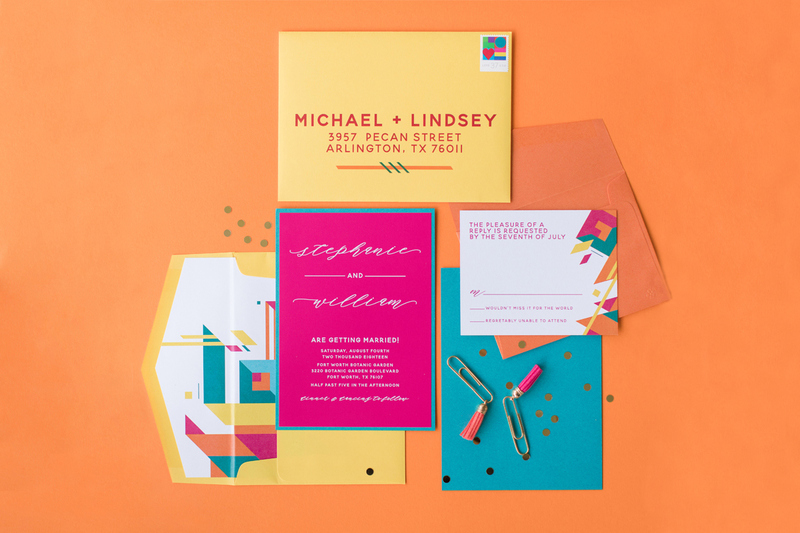 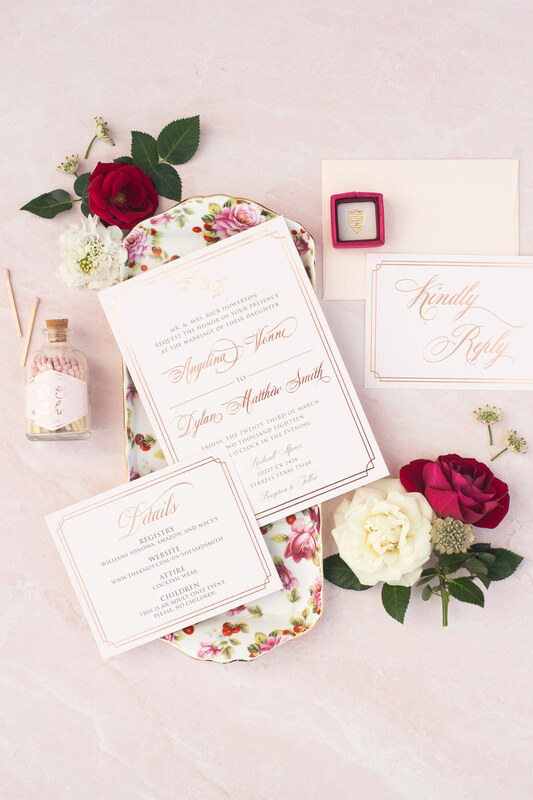 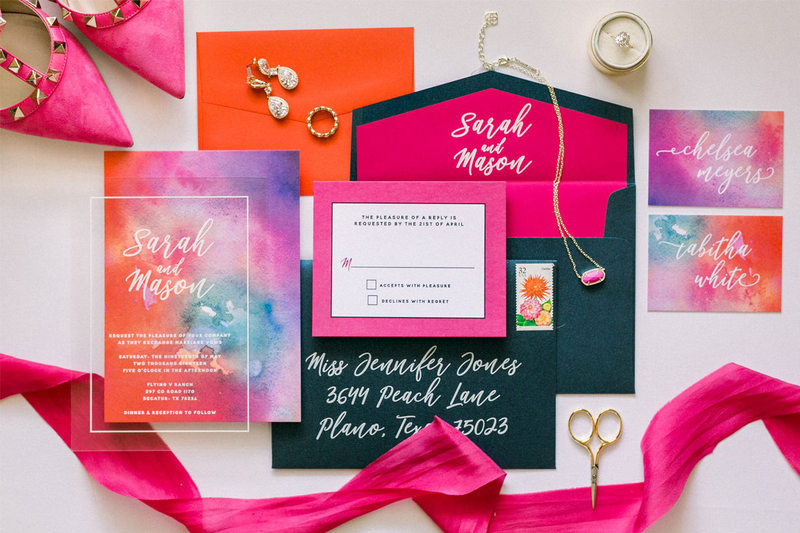 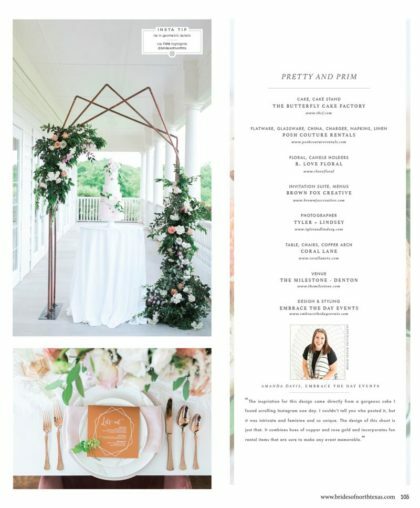 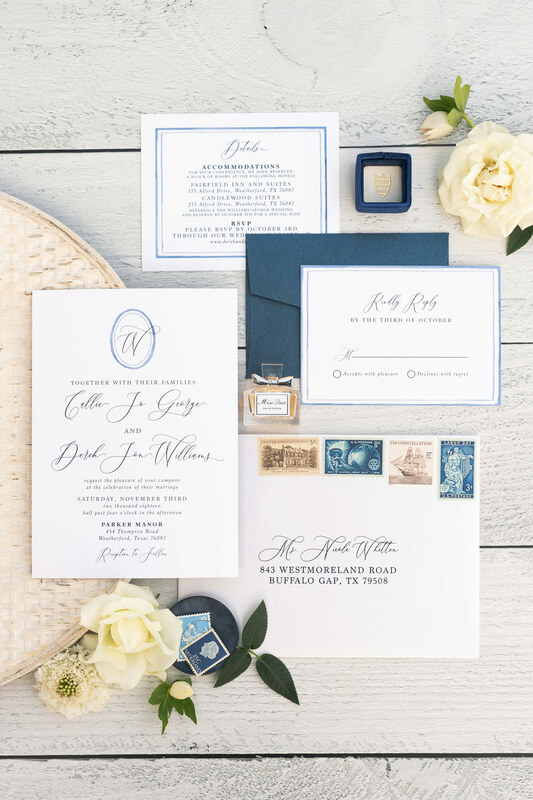 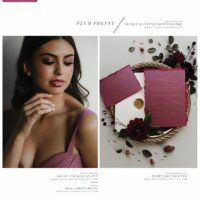 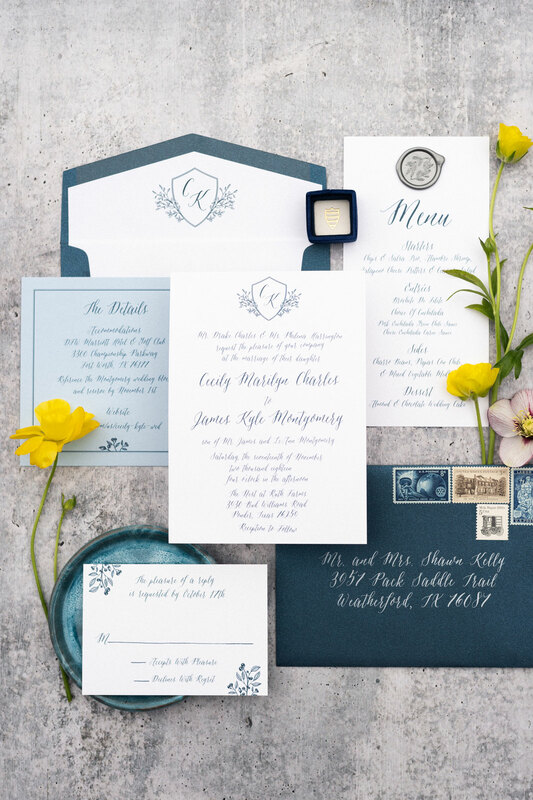 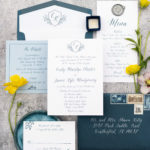 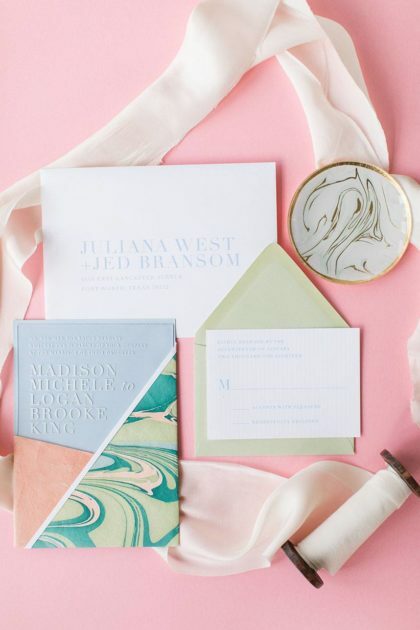 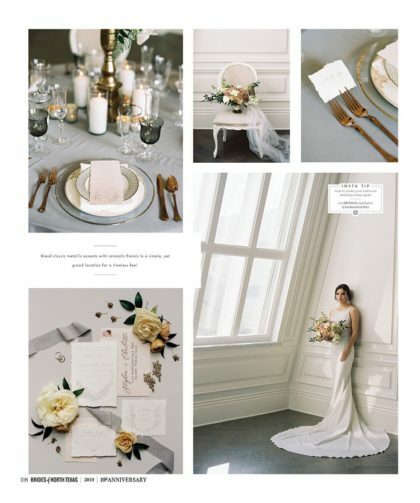 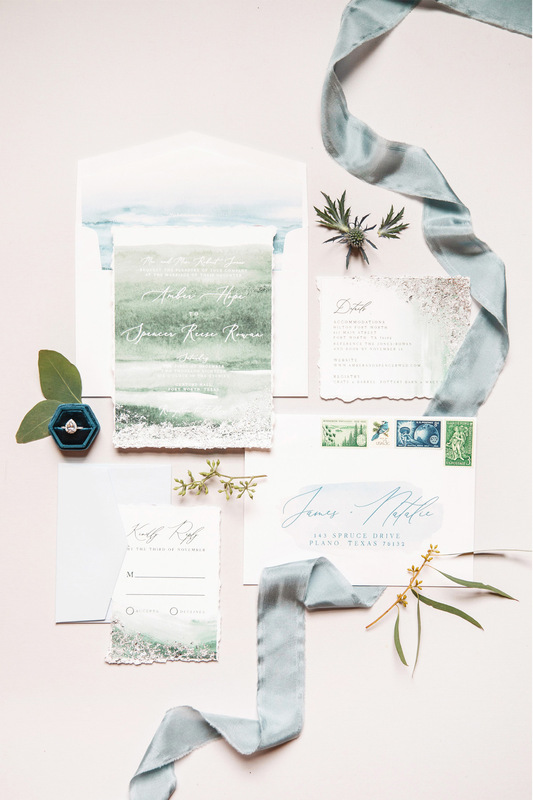 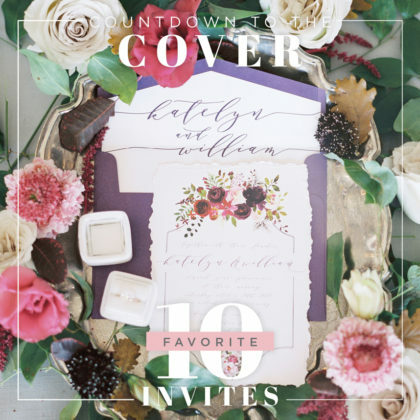 Captured by Meggie Taylor Photography, this fun editorial piece delves into the creative opportunity afforded by a full invitation suite, from playing with prints to customizing liners.